I am so excited to be here and to have this opportunity to share my stories about being a part of the Friendship Circle. I have so many amazing stories from Friendship Circle that it was very difficult to just pick a few to share. When I was first asked to help out with the cooking circle, I didn't know what to expect. I was excited to be a part of it, but I was nervous not knowing if I would be able to do a good job. After my first time, I was no longer nervous, I was excited and looking forward to going back. I first met Jack, and while we were cooking, we had such awesome convos. He loved to share his favorite T.V. shows with me and I felt like we could talk for hours, we had so much to talk about that it was hard to get us back on track to the cooking part so we had time to finish our recipe. Also in the cooking circle, I was working with my friend Daniel, and every time we had a routine. He and I really enjoyed having a routine. It made it easier for us to stay on track and have something to look forward to. The time I have spent hanging out with Daniel has been a blast. You should have seen our amazing work ethic and perseverance. Everything Daniel did, whether it was cutting fruit or measuring out the ingredients, he did it with such care and precision, that it made me want to do it perfectly too! No matter how difficult the task was or how easy, we always did it together and worked through. Overall he loved the cooking process but didn’t like to try the food with us. At the end of the hour, we would all gather around a table and say the prayer for the food we were going to eat, but he would never try it there with us. He would say that he would try it at home or give it to his brother, so it was very exciting when one day he decided to try one of the things we made together. I’m not so sure he liked it, but I was very proud that he tried it. Also, in music circle I made an amazing friend named Cameron, who was always smiling and had more energy than anyone else I have ever met. He loved banging the drums and would often get up and try to use the big guitar! Cameron was full so surprises but I was always happy to roll with it, no matter what happened. Along with great friends, Friendship Circle is an amazing place where valuable lessons are learned. It has taught everyone involved that being negative is never going to get us anywhere. Daniel was always was so ready to start, never hesitated and was never pessimistic and so was Cameron, and that I realized that that is a great way to view life. 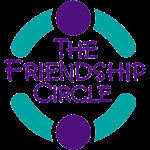 Friendship circle has introduced me to so many friends, that even outside of the programs, I see them. When I 1st went to unified basketball which was outside of the Friendship circle going into it I didn’t know who was going to be there. Then I saw Jack and he said and I quote “wait you’re Amber from friendship circle”. I was so excited to see a friendly familiar face. I then tried and succeeded to figure out a way to get on Jack’s team. We had a havdalah party at Chabad house, and together we went from station to station. We were able to make our own candles, roll dice and play a game, and we even got to make paninis with a panini presser. It was an awesome experience for me to meet other buddies that I hadn't worked with before. All of the people involved in the Friendship Circle have a connection with the traditions and holidays we share together. Having these similar traditions gives us a bond. We all celebrate the same holidays and the connection is very meaningful. It is nice that we all can come together and share our similar traditions as part of the Jewish community. It is nice to know that I can spend holidays at home with my family and also the family at the Friendship Circle. I can’t wait for the next program!